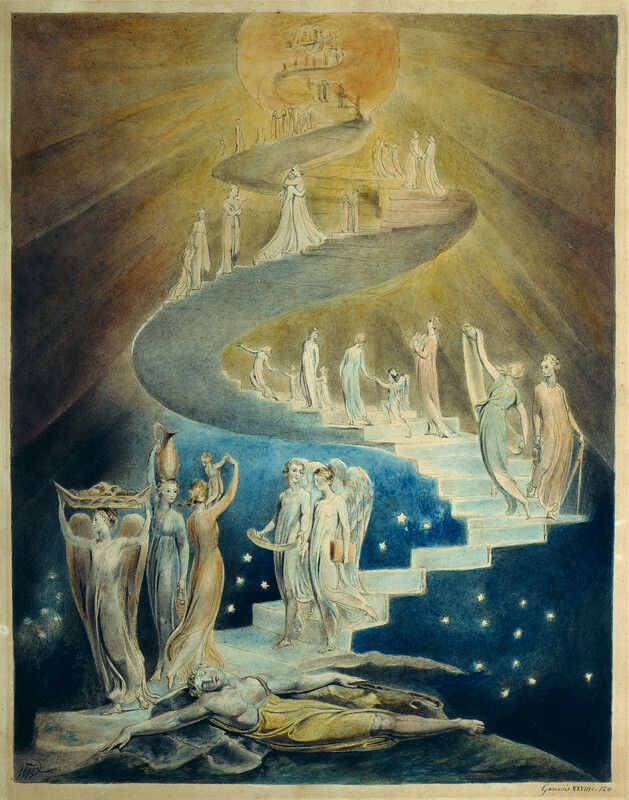 [B]rethren, if we want to attain true humility, and come quickly to the top of that heavenly ascent to which we can only mount by lowliness in this present life, we must ascend by good works, and erect the mystical ladder of Jacob, where angels ascending and descending appeared to him. That ascent and descent means that we go downward when we exalt ourselves, and rise when we are humbled. The ladder represents our life in this world, which our Lord erects to heaven when our heart is humbled. And the sides of the ladder represent our soul and body, sides between which God has placed several rungs of humility and discipline, whereby we are to ascend if we would answer his call. The excerpt above begins St. Benedict of Nursia’s teaching on the ladder of humility, which consists of twelve degrees (or, we might say, steps) as well as the top of the ladder itself. In order to take each degree seriously, I intend this to be the first installment of a running series. We begin at the base of the ladder with the above introduction by St. Benedict to the logic of humility. A caveat is in order before I proceed. St. Benedict’s Rule is for monks. There are a few steps that are not easy to translate into our secular context. In contrast to the monks of the Egyptian desert and many Celtic monastics, St. Benedict did not think his readers could aspire to recite all 150 Psalms every day. Instead, he offered instructions for breaking up this recitation into a weekly cycle. That is, the discipline of the desert was seven times more severe in this case than St. Benedict. In acknowledging this disparity, however, St. Benedict continues to practice humility, referring to himself and his fellow monks as “degenerate sons” of the desert. As for me, I’d be lucky to be counted a degenerate son of St. Benedict…. According to St. Benedict, “The ladder represents our life in this world, which our Lord erects to heaven when our heart is humbled.” Combining the two, then, we may say that “our life in this world” is “none other than the house of God” and “the gate of heaven.” The Lord is in this place, even though we often, like Jacob, do not truly know it. I’ve heard Jacob described before as a biblical everyman. He’s the Bible’s ancient average Joe (or Jim, as the case may be). And his life was so full of humbling experiences that, when at the end of his days he met the Pharaoh of Egypt, he tells him, “few and evil have been the days of the years of my life” (Genesis 47:9). As Christ himself puts it, “If anyone desires to be first, he shall be last of all and servant of all” (Mark 9:35). He then takes a child in his arms and says to his disciples, “Whoever receives one of these little children in my name receives me; and whoever receives me, receives not me but him who sent me” (Mark 9:37). To receive someone in the name of another was to receive them as that person himself. Christ says that we are to receive (that is, honor) little children as the Lord himself. How humbling! We’re the adults, after all. They should honor us! Well, so they should, but we should honor them the same. They, too, are made in the image of Christ, who became a little child for our salvation. What a perfect image to begin thinking about the logic of humility, that we “rise when we are humbled.” Everything about this seems to contradict common sense. Yet that is only the case if we follow the way of the world, seeking to “get ahead,” seeking fame and recognition. These things pass. Our words float into the air for but a moment and then recede again into nothingness. So also do all praises and achievements in the world, seen from the perspective of eternal life. And when we do see from that eternal perspective, then humility (and, indeed, even humiliation) can be seen for what it truly is. The Gospel message is that the Son of God, according to St. Paul, “emptied himself” and “humbled himself” for our salvation by becoming human and dying on a cross (cf. Philippians 2). Humility is the character of divine love, the mode of its existence, the vehicle of its transmission to others. Thus, to have true humility is to attain likeness to God himself, and there is nothing more exalted than that.